Good child growth can be seen from the changes in the size and shape of their body parts. For instance, an increase in the height and body weight. On the other hand, the development of the child is characterized by the presence of mental, emotional, psychosocial, and other developments. The growth and development process of the Little One will not be optimal if it is not supported by their surroundings, including their parents. Good growth and development begins with good nutrition. Provide exclusive breast milk until the infant is six months of age. After that, parents can give solid complementary food while continuing breast milk until the age of two years. When the nutritional requirements of the Little One are well met, their physical growth as well as brain and intelligence development will be optimal. 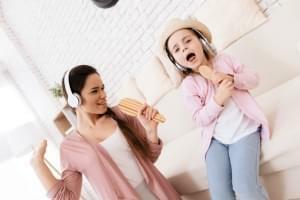 Food and drinks with complete and balanced nutritional contents will also provide energy for the Little One who is actively playing, studying, and exploring their environment. 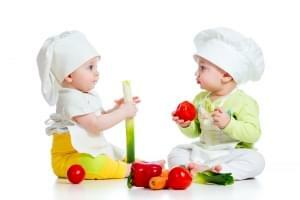 Keep in mind, healthy eating habits should be instilled early in the Little One. Foster honourable values in the Little One at an early age. Teach them about respect, responsibility, integrity, caring, sharing, and other honourable values. Parents can encourage the Little One to participate in social community activities. This will teach them about caring and sharing. With advances in the modern age and availability of internet facilities, parents face a greater challenge in educating children. Ensure that the honourable values fostered in the Little One are accompanied by providing examples in everyday life to ensure that they are accustomed to practice them. A harmonious relationship between parents and their child will be created if the communication between both parties is well established. In addition, communication is a means for parents to express their affection to their child. With effective communication, the Little One will feel safe, comfortable, and loved. Words of Affection. Parents can gently tell the Little One that they love them, or other sentences that can comfort them. Also give them sincere praises without any exaggeration every time they do something positive. If they make a mistake, do not immediately scold them with harsh criticism. Tell the Little One where they made a mistake and what can be done to correct it. Demonstrate with Actions. Parents can show the Little One that they love and care for them. For instance, by fixing their broken doll house or by assembling a recently purchased toy together. Give Your Time. Remember, no matter how busy parents are with work and daily activities, they should ensure that they spend some quality time with the Little One. Give Gifts. There are no specific circumstances for giving gifts. Parents can give gifts to the Little One as an expression of their appreciation and affection. For instance, when they successfully achieved their study targets that have previously been determined. Touch of Love. Do not hesitate to hug, kiss, and gently pat the head or back of the Little One. Other than giving a mental boost, they will also feel loved and cared for. To ensure that the growth and development process of the Little One proceeds optimally, they require nutrition and positive stimulation from their environment, particularly from parents. Ensure that the Little One receives all the things they need to grow and become a healthy, strong, and independent individual. Music is not just a means of entertainment alone, but has a myriad of benefits for one's body and mental health. For the Little One, music can support the growth and development process.